I was watching KOMO from Seattle and a story said that a Community Transit bus was invovled in an accident with a driver who lost control while sending a text message. I saw an RTS that did not appear to be damaged at all. Use this thread to discuss King County Metro and Community Transit. People who text while driving are stupid. King County Metro is rich and doesn't achieve good fuel economy with the hybrid DE60LFs. Community Transit has nice new Inveros. That are not liked by many! I would imagine they would know what they like and don't like. Are the ones in Winnipeg the first gen Invero or second gen? 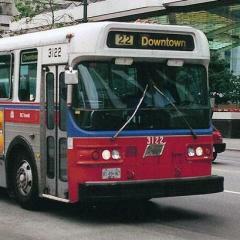 Ottawa and Community Transit operates the second gen.
What does it matter? I dislike them either way. It's just like the LFS, First Gen is really bad while the Second Gen is improved. But I don't totally love the Inveros, I just like them as my favorite LF. HFs are my favorite. Now Fishbowls I totally love. They are reliable and gives a great ride and aren't new! I've rode on a Burlington Invero back in August during my visit..............they're alright, in fact, they left a very distinct impression in my head! Rode all 3 Inveros except Winnipeg (same powertrain as Burlington) and they are ok, more of a plastic cheapo bus and unreliable rear door. St. Catharines and London are still dealing with body and engine problem. Electrical is not much. At least Martin got his wish that Invero will be killed once the last batch of Ottawa Invero delivers. Apparently we were going to get Inveros back in 2002 but NFI said it was back in the design phrase. Meh. I think the Invero is an interesting bus. I enjoyed *seeing* them in Ottawa, Burlington, and Winnipeg. I just dislike riding them, and I think the whole concept was flawed from the beginning and has ended up being an expensive project for New Flyer. I can't help but wonder if they've even made money off of the Invero's after all of the prototypes... R&D... I believe warranty work from some of the systems that first got them.... All for what they call a premium bus... When transit systems often purchase buses based upon the lowest bid. Since then.... Instead of trying to reinvent the bus, New Flyer went out and changed the front and rear of the X30LF, X40LF, and X60LF. I'm sure New Flyer has delivered or has on order more LFR's than it has sold Invero's. If they don't, I'm sure it won't be long until the LFR does surpass the Invero. 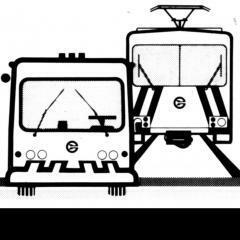 Calgary Transit was originally supposed to get 6 Invero's back in 2002 as well, but CT decided at hte last minute to change them back to regular D40LF models. I believe that was a good choice. They did made a right choice, otherwise mechanics would just use a sailor tone attitude by kept fixing and fixing the Invero. From the sounds of the mechanics, they use a sailor tone attitude towards the D60LFs especially as they are hardest to repair according to that mechanic. Now that's from a Mechanic. Well, the Invero for OC had some several modifications with better PLC and other mechanical components, which is why it's better. King County Metro has a variety of vehicles. which was the Skoda-Inekon Astra model built in the city of Plzen in Czech Republic. was only one block south of Jackson Street, home to three trolley-bus routes, 7, 14, and 36.
condo development, it would be for a while before the real vintage street cars return. one dollar U.S. currency was more common in bills, which took more time to insert than coins. another precious moment was wasted to insert bills. and ready for LRT operation since full bus service has already been restored in the tunnel. on as a 1-Kinear and gradually entered more affluent neighborhoods on Queen Anne Hills. into the ambience of an already colorful ink and water painting. interlined. For the 49, the route map was confusing as it showed a sudden end on 1st Avenue. Pine to SB on 3rd. coach was 4259, serving a route 7 and went as far as Rainier Beach only. converted? Was 4259 the highest in the series? why rail-way stations in U.S. metropolises all called union stations? Because back when Amtrak was not the only US passenger railway, multiple railways would serve the station (as opposed to separate terminals for each railway), hence, "Union Station"
Of course it's not just the US. Toronto has a Union Station. I believe Winnipeg does as well. I don't believe Montreal, or Vancouver had Union Stations, however. More and more artics are rumbling the streets of Seattle now. ^^ They have over 500 already, and over 500 new ones coming for the 'Transit Now' service expansion. They will also get new DE60LFRs, or D60LF BRTs between 2010 and 2013 for the Rapid Ride BRT service.